The first part of the evening starts at 6.30, finishing about 7.30. It will take the form of a performative unfolding of practice/talk followed by discussion. Places are limited for this part of the evening to 16 – so please book via Eventbrite (free). Please visit EventBrite to book a place for the (free) performance-lecture. Then from 7.30 to late you are invited to a viewing & gathering to celebrate getting to the final stages of my PhD… Open to all, no booking needed. Donations please for drinks (or bring your own!). This work moves across and between site, performance and drawing/painting practice, often mediated through digital technology. The event is presented as part of an ongoing research process, rather than an exhibition of finished work; it is the result of my PhD at the University of Exeter. Please feel free to invite friends who may be interested. ” ~ An unnamed stream runs a mile off the moor – following a line of deep-time seismic fracture in the Lands End granite – until it joins the Atlantic at Porthglaze Cove. On 5th April 2009, a localised storm came in out of nowhere straight off the Atlantic. In the space of two hours, this trickle of a stream swelled into a raging torrent, resulting in the collapse of a bridge and tragic loss of life. 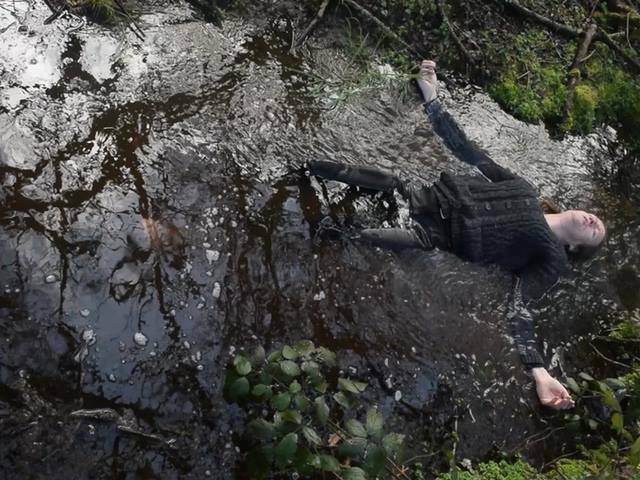 Fractured Earth is an art practice-based research project; it forms the basis of Veronica Vickery’s PhD research within the geography department at the University of Exeter. She has been looking at how an artist’s practice can work with an understanding of landscape as always in being in eventful — and sometimes violently eventful — process, beyond the framed imaged and beyond static framings of landscape. Veronica has worked with a series of sited interactions and studio-based art processes to consider these eventful meetings of water and soil, rock and stream, land and sea, deep-in-time Earth processes and in-the moment traumatic landscape events such as the flash flood at Poniou.